Welcome to the Side Hustle Success Stories interview series where we chat with real people about real side hustles! Today, we learn how to optimize your blogging side hustle. 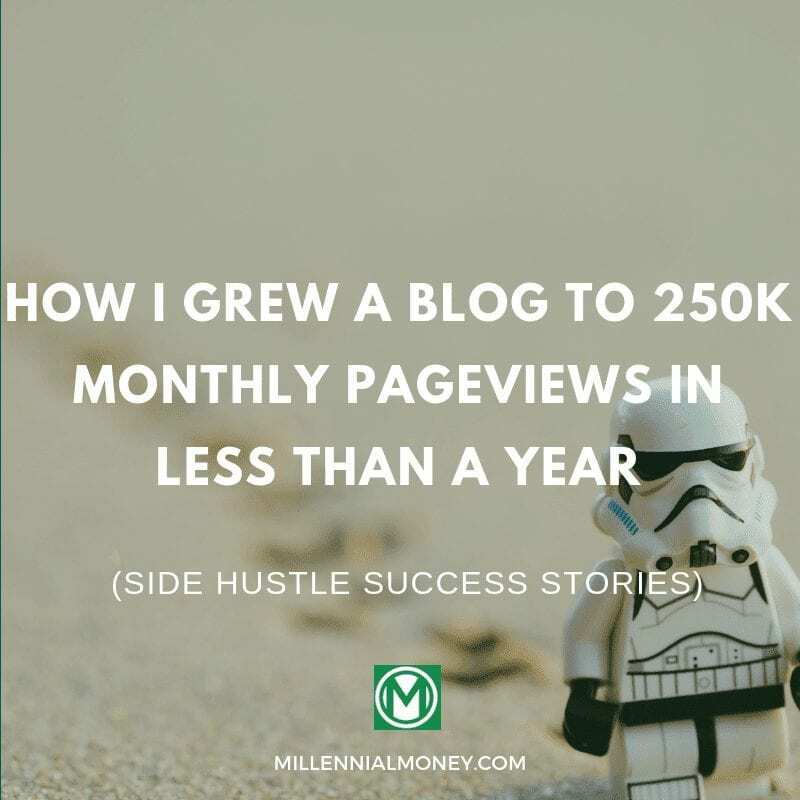 Michael Dinich, aka Your Money Geek, presents his 6 best strategies that helped him grow his blog from 0 to 250,000 monthly pageviews in only 9 months. If effectively monetized, high monthly pageviews can = $$$. We hope this helps you grow your blog! If you would like to start your own money making blog, check out the Free Blogging Side Hustle Course: Launch A Million Dollar Blog in 7 Days! We walk you through the exact steps to set-up, monetize, and grow your blog. Millennial Money is on track to make $1 million in 2018. Learn the exact strategies we’ve used to reach over 5 million visitors. All in 7 days. All for free. Nine months ago, I was a complete newbie in the blogosphere. I only started blogging because the company I hired to do some online marketing talked me into setting up a blog on my website. However, I wasn’t happy with the content they were planning to publish, so I quickly relieved them of that command. I assumed the helm of the blog and was immediately tossed into an industry I had no sense of. I published my first post and eagerly awaited fame and admiration… I’m still waiting. JK. After studying online blogging culture, strategies, and earning potential, I was immediately bitten by the bug. I was enthralled with the idea of a blogging side hustle. 1. I was only going to blog if it was fun and we did it our way. 2. We were either going to make it quickly or fail quickly. I was fortunate to have a few mentors who attempted to temper my expectations. They suggested blogging could take several years to become financially successful. However, spending 3 years to find out if I was on the right path was not something I was prepared to do. So, we launched a plan to triple down on our efforts. 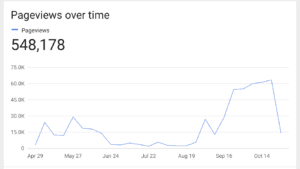 Here is what I learned growing a blog from zero to 250k page views in 9 months. Blogging has a low barrier to entry business model. Anyone with an internet connection and a laptop can launch a blog and be up and running in a matter of minutes. 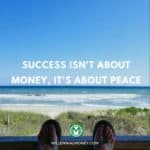 This has led to a plethora of bloggers pitching the path to prosperity. Many are monetized by selling aspiring bloggers the secret sauce to traffic. The reality is the blogosphere is crowded, and all these bloggers add to the noise. It is possible to stand out against the backdrop, however, it’s hard work. There are exceptions to the rules. For example, a blogger might win the blogging lottery with an interesting enough story that they get featured in the media. However, these stories are few and far between. My advice to a new blogger is if you want to create a profitable blog, expect that it is going to take 3 times the work and time you are anticipating. If you are trying to build a blog as a business/brand, then you must treat it like a business/brand. Ask any celebrity about how hard they worked to make it; it’s doubtful they worked 10 hours or less a week. There is too much competition and too many people who are willing to put in the effort. The first step is to be honest with yourself and commit to doing the work. I am in several blogging networking groups where a member may go dark for a few months, then pop in with a request for social media shares and a lame excuse on why they were missing in action. I haven’t seen any evidence intermittent blogging works. If you want to stand out and get noticed, you need to be present. When I started blogging, I was a complete noob. I am embarrassed to admit I hadn’t even read blogs before blogging. However, the silver lining in being such a complete novice is that it forced me to reach out to other people. I reached out and connected with everyone I could on social media and started building relationships with people. Once I had a few people I was consistently speaking with, I invited them to form a networking group. I searched for people who were strong where I was weak, so I reached out to people who were killing it on Pinterest, Tumblr, or Instagram. Today, the group is nearly 30 strong. Extremely active and supportive. Without their support, I would not have reached my goals. Now, I am not pointing this out to brag on my peeps, although they are seriously awesome. Instead, running a networking group has taught me the importance of networking as well as who not to network with. 1. Those that believe the group exists to serve their purpose. 2. Those that believe the path to success is to serve the group. People who join a group and fall into the first type tend to do the bare minimum. They fail to reciprocate, and lack consistency in participation, yet expect to participate in the collective benefit. These people need to be avoided at all costs and removed from your group. They will cost the group resources, weakening morale, and generally make life unpleasant. If you want more traffic, find people who realize the fastest path to success is to help others in reaching their goals. Good people working together make more for everyone. Go out and find your “good people”; find people who hustle, are hungry and interested in building mutually beneficial relationships. Try to find 10 people like that, and be everything for each other. Your traffic will benefit. While I am a neophyte to blogging, I was familiar with how fickle of an overlord Google is. A novice website is not going to slay the Google beast for any keyword of value with anything short of divine intervention. Even with some juicy backlinks from a burning bush, it’s likely to take months if not years to rank in the SERPs. These 67 SEO tips for bloggers will help, however. When I started blogging, I knew I was not going to resign myself to sitting around and hoping Google might shower me with love, or some editor at a prominent site would stumble upon my blog. Thus, I developed a disciplined social media strategy in order to take my message directly to the people. Twitter, Tumblr, MIX, Facebook and online communities are my go tos to promote my blog posts. I maintain a half-hearted presence on Pinterest and recently launched on Instagram. Before I start receiving Pinterest fanboy hate mail, I should mention I know some bloggers do quite well on the platform. Personally, I feel Pinterest is too “Red Ocean”, every blogger is there courtesy of some tailwind link, and I rather find “Blue Ocean‘ opportunities. 1. Every post is expressly for my audience. 2. I will not follow or share people who do not reciprocate. I see it all the time. Bloggers who tweet out irrelevant information about the back end of their business. Unless you’re blogging about blogging, your readers most likely do not care that Pinterest did some something funny, or how many followers you gained. Everything you publish should purposeful and for the benefit of your audience. If you want to network and chit-chat with other bloggers, I recommend having two accounts per platform. Once account for connecting with your audience, and a second you can use for networking with your peers. Secondly, do not follow people who do not support you! Do not build another person’s celebrity! If you are interested in reading the tweets of some blogging OG, then add them to a list on Twitter where you can see their tweets without following them. Every person you follow who won’t follow you is robbing you. Invest your time in people who value and respect what you have to share. Most of the blogging OGs do not even run their own social media accounts, so if you think following some industry top dog is going to get you some recognition eventually, you will most likely be disappointed. 4. Support the people who support you! Instead of chasing some industry influencer, spend your time developing relationships with people who really matter, your fans. Share the content of people who share your content, instead of chit-chatting with other bloggers, reach out to your non-blogger fans. Example: I keep a list of my top non-blogger on each social media platform. Every weekday I check the list and try to share or like something of theirs. Your readers should receive the lion’s share of your attention. Note: Don’t automate your social media presence. Social Media is not an RSS reader for your blog if you want to build your social media following, you need to get “social”. 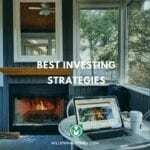 When I started blogging, a mentor told me to write guest posts on other sites, that I should start on small sites and work my way up to bigger and more prominent sites. It was game-changing advice; however, I would add one caveat. Guest post on any and every website that will have you. Large included! I have been fortunate enough to guest post on a few different sites, some larger and other comparably smaller. Some of the smaller blogs send more traffic to my site then the larger blogs. Every guest post you do is an opportunity to get your content in front of new audiences. Interviews are an excellent opportunity to get in extra guest posts, as I find interviews take less time to write that a guest post. Plus, if a site has a regular interview series you know, they are open to having people on the site. Also, do not be hesitant to host guest posts on your blog. Hosting a guest post is an excellent opportunity to get free content for your website. Good guest posters will share their guest post on social media and will often link to the post. If you are networking with the right people, letting them post on your site will add value to you both. It takes a certain level of tenacity to be successful. One of my most successful posts YTD was a flop at first. I wrote a post about Grand Admiral Thrawn to coincide with a Star Wars celebration. All the cards stacked in my favor for a sure win, right? I reached out to all my favorite bloggers to contribute, included custom artwork made, pulled some favors to get backlinks, and I assumed the post would be an instant hit. Well, despite my well-laid plans, I published the post and wasn’t met with the site-crashing traffic I had hoped for. Instead of giving up on the post, I keep looking for places to promote it. I visited online communities, Facebook groups, and the book publisher. I even emailed Timothy Zhan, the author of the Thrawn books. Eventually, I got the post in front of the right people, and the post received over 17K sessions throughout the week. The success of the Thrawn post is what helped me get to 56k monthly sessions in my 4th month of blogging and qualify for Mediavine ($$$). I would encourage anyone to start a blog. It’s a great side hustle with tons of non-monetary benefits. However, I would caution those same people that blogging successfully is a lot of work, and there are no shortcuts. You have to focus on networking with the right people, built up social media, say yes to opportunities, and never accept defeat. 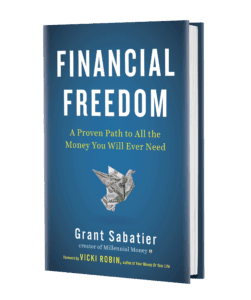 Michael Dinich is the founder of Your Money Geek. 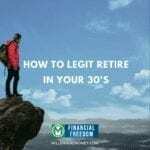 He often writes about Personal Finance, Taxes, and Geek Culture–Providing clients with the confidence and security to enjoy retirement is my life’s mission. Nice going Michael! I think you hustle a lot harder than most of us newer bloggers and you’re seeing the rewards. I need to step up my game! Great post Thomas. I am just trying to build traffic to my blog and will be applying your tips. Do you have any Facebook groups that you recommend? Makes great sense and I will take into action some of the steps to increase my traffic. congrats to all your success as well. Thanks Thomas and Michael for this post. I started my blog this year, have no idea what I’m doing and kind of looking for some direction. There were so many gold nuggets in this! Inspiring story! Thanks for sharing. I am at the very beginning of the blogging journey. Time to up the social media game. Inspiring post Michael and so true. People always underestimate the amount of work a blog involves. It’s truly a business that rewards persistence!